Buckle up, kids, as Rockstar has finally confirmed the installation requirements for Red Dead Redemption 2. As expected, it’s a lot. Better ready those external hard drives now. Rockstar recently updated its support page detailing what you’ll need to install its newest game on your system. Physical copies of Red Dead Redemption 2 will “only” take up 99GB of space on your system. There was no word on that two-disc rumor, however. If you’re someone who prefers to buy your game digitally, you’ll need to carve out a bit more room. A digital copy of Red Dead Redemption 2 will still require 99GB of space. However, you’ll need another 50GB for the installation process. All together, that adds up to a nice 149GB of space on your drive. Of course, buying it digitally has the big advantage of preloading, which begins on October 19th. With a campaign that’s supposedly over sixty hours long, a large file size may not be necessarily surprising. If you haven’t bought Red Dead Redemption 2 yet, there will be a PS4 Pro bundle that comes with a disc of the game. And by buying the disc, you’ll only have to worry about making room for 99GB! 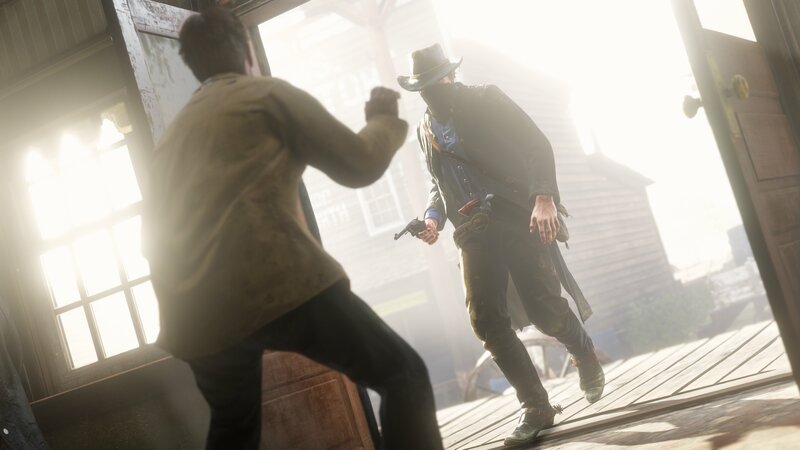 Unfortunately, the space required for Red Dead Redemption 2 is likely to grow, especially with the impending Red Dead Redemption Online.